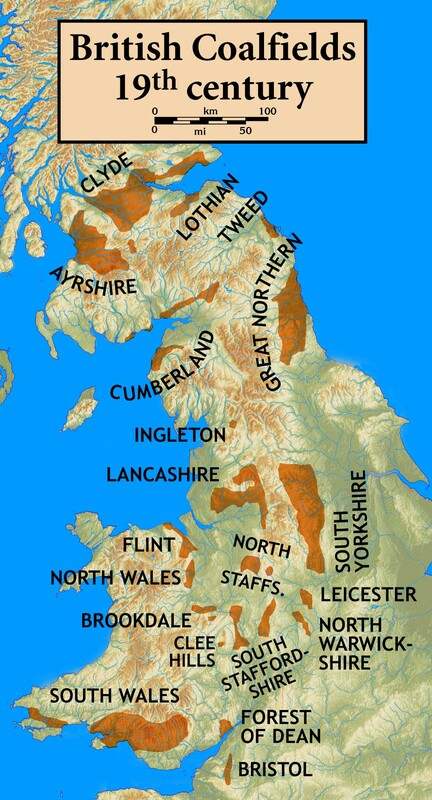 The Industrial Revolution really got its start in Great Britain during the second half of the eighteenth century. A great many workers were needed in the burgeoning factories and in coal mines to provide the fuel for the factory machinery. Our ancestor came of age in the late 1700s, and would have been accustomed to working to help provide for his family – with a widowed mother and several siblings, there was no other option. Many jobs were available, although working conditions were appalling. Thomas Thomas’ early life, his employment – first as a shepherd, later as a coal miner – is mentioned in family held sources, but we have no details of how old he was when he took each of these jobs. Clearly, working in a coal mine would have been chosen out of necessity – it must have paid a lot better than herding sheep. He might have been sixteen to eighteen years old at the time, or he may have been younger. Surely people knew something about working conditions in mines – even today, these conditions are quite severe – but would have been attracted by the abundance of need for workers and the higher salary offered. However, children as young as five were employed in mines and they received merely a cent or two per day. 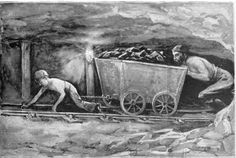 If Thomas was in his mid to late teens at the time of his taking the job at a coal mine, he would have been assigned to any number of jobs requiring strength and perseverance, including “hurriers” and “hewers”. His grandson, Alfred A. Thomas, described him as “quite short and heavy set, bald, and of great strength and vigor of constitution.” Being strong was an advantage for handling the work of a coal miner; it is also possible that working in a coal mine could have stunted his growth. As the demand for coal increased, the mines went deeper and deeper, reaching up to two kilometers below the surface. The deeper they went, the more dangerous they became. Once a seam of coal was located, it was mined horizontally. This meant that miners often were forced to work lying down. Flooding was one of many dangers in the mines, and children often had to work in water up to their thighs while underground. Poisonous gas escaping or causing explosions was another. Explosive gas, called fire damp, would be found the deeper the miners got. One spark from a miner’s axe or candle could lead to disaster. To clear the mines of gas, a crude ventilation system was used: The job of “trappers”, most often young children, was to sit underground, opening and closing trap doors located across the mine. These trap doors allowed coal trucks through, but also caused drafts which could spread a cloud of noxious gas. The mine owners believed the system of trap doors might help the blast of an explosion from damaging more of the mine (their first concern was their investment, not their workers!). Unfortunately, this system was very ineffectual and there were many accidents. A third serious danger was the threat of collapse: Mines were only held up by wooden beams, and the sheer weight of the ground above a mined coal seam led to many pit collapses. 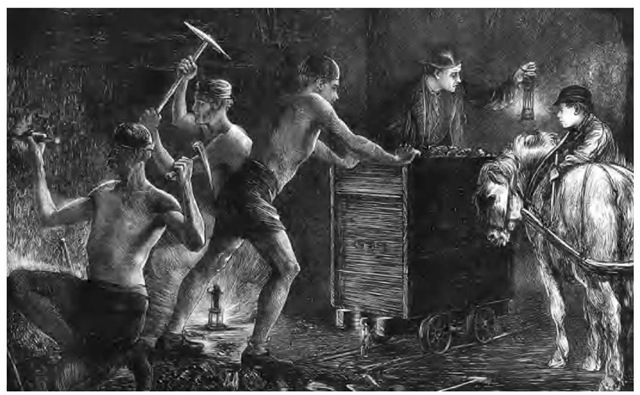 A report on deaths in coal mines to Parliament gave a list of ways miners could be killed: falling down a mine shaft, being hit by falling coal, being crushed to death in collapse, explosions, suffocation due to poisonous gas leaks, and being run over by a tram carrying dug coal. 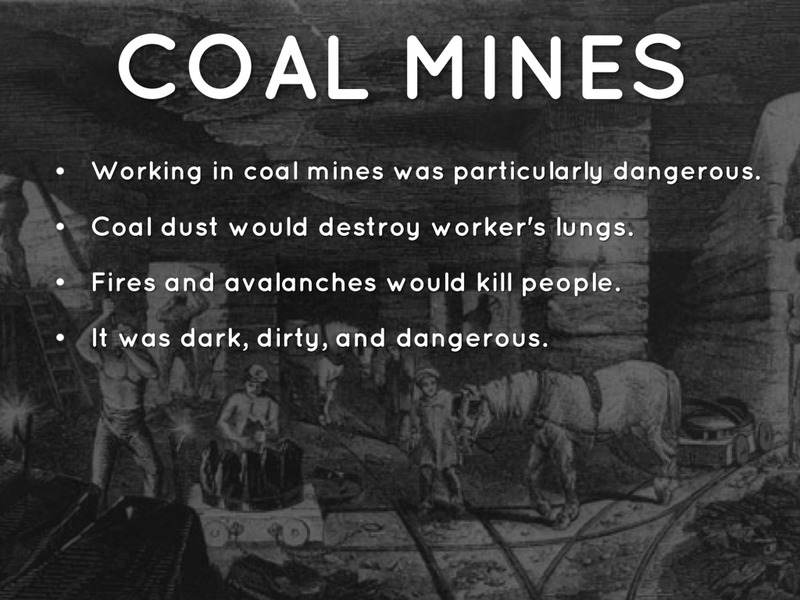 In spite of these dangers, demand for child labor was great as coal production increased. 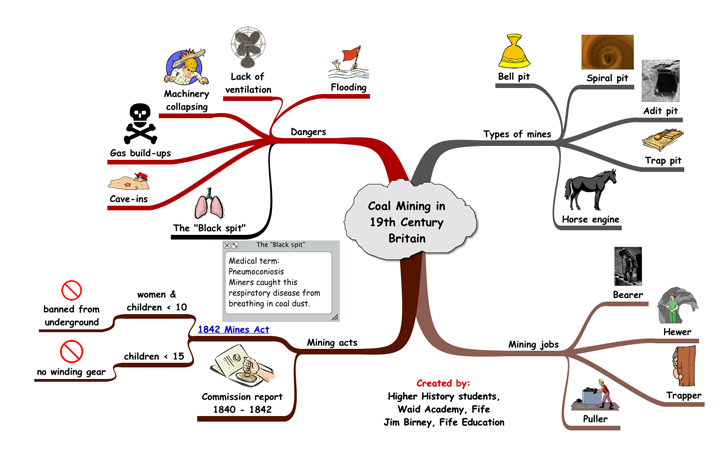 Whole families worked in the mines. Besides trappers, coal “hurriers” pulled carts filled with coal over long distances and through very narrow tunnels. These coal carts could weigh as much as 500 lbs., and they were hauled using chains attached to the worker’s waist; or two men would be employed, one in front to pull and one behind to push. 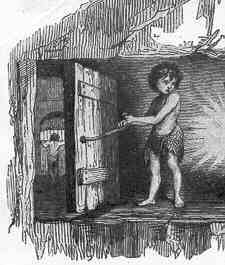 They would exit the mine via the trap doors, held open by the trappers. Girls were often used for this work, because their smaller bodies could fit through tighter spots than their male counterparts. Men and boys were often “hewers”, using pick axes to cut the coal from the seam.10 A teenaged Thomas most likely worked hewing coal, but may have also been a hurrier at some time, due to his short stature. From the scant information I have about that period of his life, I estimate that my ancestor could have been working as a coal miner for ten years or more. With the harsh conditions and hazards of this work, it is no wonder that Sunday School would have been a welcome respite! It was thanks to a philanthropist, Thomas Wilson, and Hoxton Academy that Thomas’ life took a radical and decisive turn. PICTURES; All pictures of coal miners contained herein were downloaded either from the web sites cited below or from Google Images, unless otherwise stated. LINKS: Below are links to the sources used in this article.